I have a photo for you that I thought would make an excellent entry for little old man weekly. Yesterday I hit a really bad pothole/crater and destroyed two tires rendering my car undriveable. As I had to get to Boston for an event that evening I ended up borrowing a friend's car. Said car has been passed down in the neighborhood for the last 15 years and has had some DIY work done on it. I thought you would be particularly pleased to note that at some point one of the car door locks had gotten broken and that rather than buy a replacement someone had substituted a screw. Quoted from The Project Guttenberg, Fowler's Household Helps, by A. L. Fowler, Published by Household Publishing Company, Albany, New York, 1916. This has been quite a trying year on the cut, the wet weather has made the tow path very soggy and the speed of passing boats has continued to increase. This has meant that mooring pins won't hold in the soggy ground and they are more rigorously tested by the passing traffic. We have been on the Grand Union Canal most of the summer and the standard edging there is concrete pilings retained by redundant railway lines, installed during the pre-war modernisation of the canal system. The system has been a good one as the canal banks are still in good condition but away from visitor moorings the only choice for tying up has been to pins. 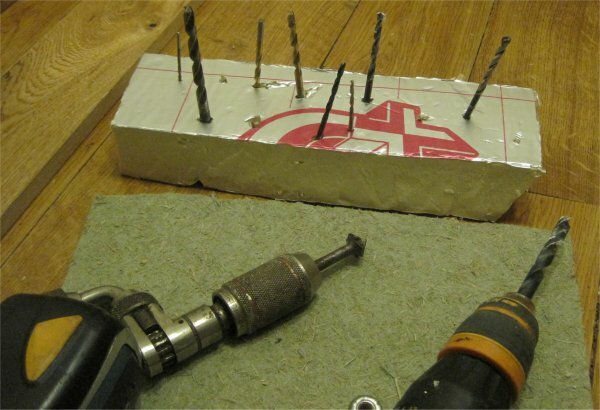 This year, I have been testing home made flat pins that will [just] fit behind the railway lines [almost] everywhere. I've been pleased with these and have improved them over the summer until I am now well satisfied. The Mark I version had a 90 degree bend in it which proved difficult to bang in. Mark 2 were straight and we are now at Mark 3 which has its own captive ring for the warp instead of the shackles on the originals. To stop them pulling out, there is a hole near the bottom into which an 8mm bolt is screwed. Paul and Allie took Cribbit out one weekend and observed that my mild steel hand forged wing bolts were getting rusty so Paul has made me a very nice set in stainless steel to replace them. But what is even better is that Allie has fitted them with their own special floatation devices. My gratitude for these items knows no bounds except that I would have been quite happy to help in the production of the floats. Actually, now I think about it, I very probably did. For the technically minded, the pins are made from 1 inch by 5/8 inch bar. The dimensions are in old money because the bar was 'liberated' from Matthew's roof when he removed his old asbestos stove pipe and its supports. [Rich pickings for a Little Old Man]. They are 14 inches long, have an 8mm bolt 10mm from the bottom and a loop for the mooring warp at the top. In use I have found that they hold very well even without the bolt, the pull on them is horizontal. The loop makes it easier to extract them as I can put a mooring pin through it and lever them up. The end is sharpened. Tie some yellow beeswax or paraffine in a cloth, and when the iron is warm, but not hot enough to use, rub with the wax and then rub it through sand or salt. Some time ago, Kevin gave the Little Old Man a couple of chairs. The intention was that they would do duty in the fire pit to keep summer party revellers warm. One did do sterling work in that way but the other was judged by the Little Old Man to be far too good to be burnt and it was commandered for the workshop. There it has seen service in many guises, even including, now and then, to be sat upon as a chair. To-day the Little Old Man had a large piece of oak to cut and was lamenting that the chair back was just a bit too high to make a support stand for it. Bit too high can quickly be remedied though so it was put next to the saw table, a pencil run along it, and then "off with its head". Perfect, and it even generated a nice piece of wood to keep him warm on the workshop stove as well. Before fastening the food chopper to the table, put a piece of sandpaper, large enough to go under both clamps, rough side up, on the table; then screw the chopper clamps up tight and you will not be bothered with them working loose. Yet more Little Old Manish designs from the cut. We have already seen how to mount your television aerial on a boat [Issue 39] and how to keep your seat bottom dry [Issue 40] so in this issue we are looking at how to keep things upright when you don't have a firm base. A violin string makes an excellent chain for stringing beads. It will stand a great amount of wear and tear and will practically last forever. This issue deals with storage of precious [and not so precious] jewels. Pat is rather pleased with her low cost, Little Old WOMan solution and so is Rosemary with hers. In Rosemary's case, the Little Old Man is rather pleased too as he can't stand his freezer being clogged up with superfluous and un-used ice cube trays. 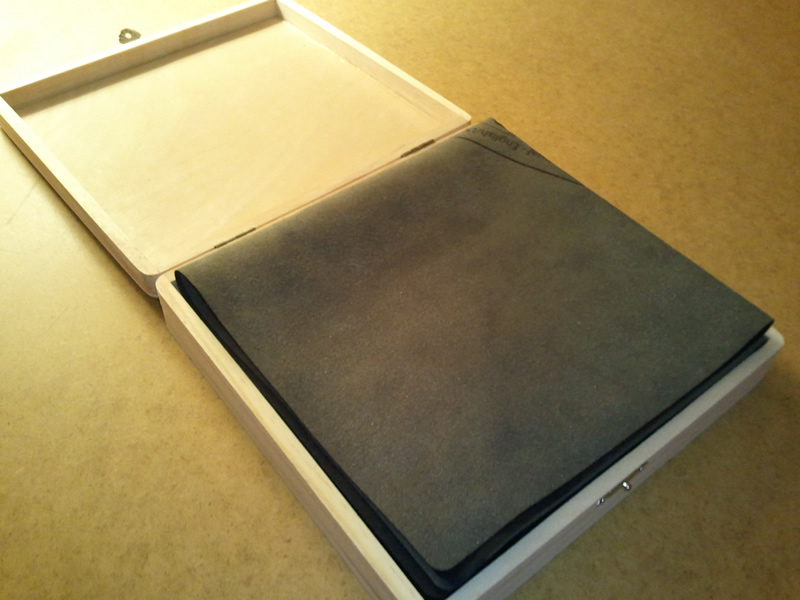 As you can see I'm enclosing the pictures of the Make do jewellery boxes. In times of fashionable 'cheap and cheerful' jewellery - girls have loads of these baubles lying about and 'where to keep them? There are very posh little sets of lined drawers etc. in the likes of John Lewis but they only hold a few pairs of earrings and are very expensive. I have found that an empty choc box of Ferrero Rocher (this one given to me by your dad) makes a super compartmented receptacle and even better, a box that once held fisherman's bait etc, this one bought for 10p from the Village Fair is just as good. Previously I have kept screws and other interesting bits in this self same box but since Tom has taken over the garage and has a different 'keeping bits section' I have found this new use for it. If the silverware has become badly tarnished, put it in an aluminum dish, cover it with water, and boil it up for a short time. It will come out bright and clean. The little old man got well caught out in a little old man way to-day. He had to run into Tesco's for a few bits and bobs which fitted neatly into just one carrier bag. Once he had filled his bag it seemed that it would be a good idea to go and use the customer facilities before a fairly long drive home. Problem was, where to put the bag while all this was going on. The floor didn't look any too salubrious so he decided to put it in one of the wash hand basins. He then got on with his task and wondered why there seemed to be water running behind him, cascading onto the floor even. The cause soon became apparent, the bag of shopping had set off the automatic 'hand needs washing' detector AND the bag had blocked the sink. He quickly grabbed the bag which by now was full of water, nothing for it but to make a hole in the bottom, drain off the water and beat it for the exit. When flowers are to be sent some distance it is a good plan to place the ends of the stems in a raw potato. They will keep as fresh as if in water. (1) Put a small piece of sugar in the water. (2) Place a pinch of bicarbonate of soda in the water before putting them into a vase. Continuing our canal theme, this week we see how little old men keep their precious bottoms dry. They fit folding seats to their picnic tables that's how. When cane-seated chairs sag they can be tightened by washing the bottom of the cane in hot water and soap; then rinse in clean water and dry out-of-doors. 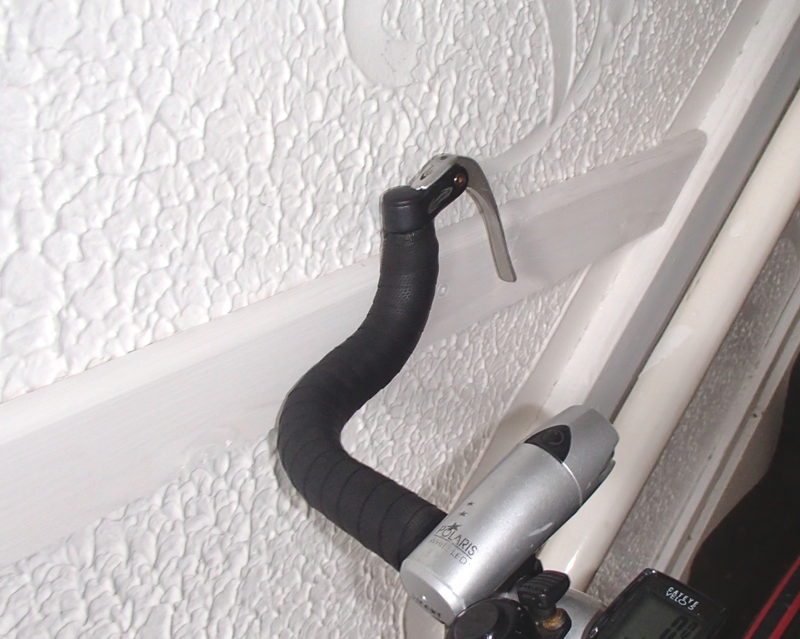 There are many Litle Old Man gadgets to be found on the canals and this week we are looking at the ways people secure their TV aerials to their boats. This is just a first view, no doubt we will be back with more very soon. For fixing on small pieces of wood chipped off furniture, use the white of an egg. This issue shows how one very good little old [wo]man weekly idea can be augmented when needs beyond the original problem arise. To those accustomed to high powered electric kettles, the gas ring on Wolf seems very slow and this is especially so when bow and stern doors are wide open AND there is a howling gale down the cut. Pam had erected a neat little wind baffle but even this was not enough for the impatient this week. See what a little old man can do with a substantial shopping bag. Its good to see restauranters striving so hard to protect their customers. This issue of Little Old Man Weekly featues the use of aluminium foil to foil the outlet of rainwater from gutters. Without this little old man invention customers dining in the Utrecht restaurant where we had lunch would get free [non-tap] water with their meals. Turn the nozzle of the garden hose to a fine spray and sprinkle the clothes while they are on the line. All plain pieces can then be rolled up and laid in the basket as they are taken down. Starched pieces may need a little further hand sprinkling. What do you do when a pair of swallows decides to build its nest above a light fitting in your restaurant? You fit an inverted umbrella below it and your diners are no longer 'disturbed'. Soon after we had seen this handy innovation, we were walking home from the beach behind a woman carrying a beach umbrella, as she neared the garbage skips, she flipped it neatly into one of them and then continued serenely on her way. Not so her ardent followers who very soon had that umbrella out of the skip. Terry has exactly the same little problem in their under-drawing. The best way to secure lace or net curtains in place over the poles is to fasten with the very fine wire hairpins, known as “invisible” hairpins. These are so sharp that they can be pushed through the curtains without injury to the fabric, and are so fine that they are more invisible than pins. They have the added advantage of never slipping out of place like small-headed pins, or becoming entangled in the lace like safety-pins. Put them perpendicularly (up and down) in the curtain with the rounded head at the top. Tomatoes nearly always have to be skinned before being used. To do this easily, place them in a basin and pour boiling water over them. Let stand a minute, and then drain. Before putting sweet potatoes in the oven, grease the skins and they can then be peeled easily and without any waste of the potato. handy boat radio you could make for yourself. Described in Cribbit's on-line log cribBlog. 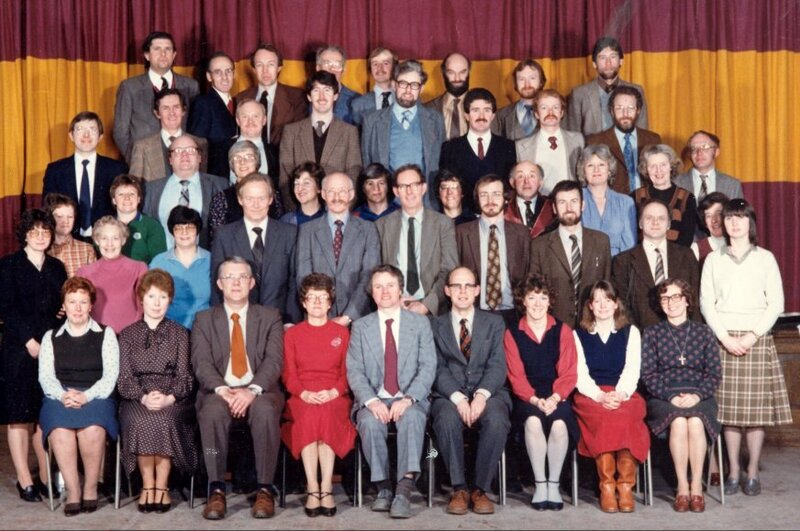 As we have a short Little Old Man Weekly issue entry here is a longer piece from Mr. Fowler on how to get the best out of what was then the new fangled home electricity supply. All ceiling outlet lighting, and wherever desirable, side bracket lighting, should be controlled by wall switches. These switches should preferably be of the push-button type rather than of the snap-switch type. In general the best location for these switches is on the wall of the room right next to the door which is the entrance most frequently used. When in doubt or when in need of suggestions, ’phone the Sales Department of your Lighting Company. 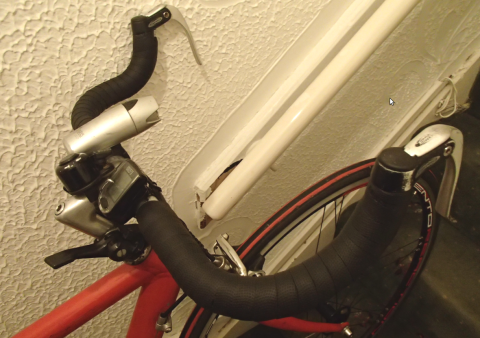 To protect the new bar tape on your bike from carnivorous artex plaster try screwing a wooden batten to the wall. When linen pieces or small articles of clothing are placed upon the grass to whiten, much trouble may be prevented by spreading a strip of cheesecloth over them and fastening it down with wooden pegs or hairpins. This does not prevent bleaching, but keeps off worms and bugs, and prevents the articles from being blown away by the wind. When installing high security gates make sure that you supply easy access round the side for use when the gate is locked and make it low enough so you can step over it easily as well. Our morning walk in Stoupa takes us past a house that was designed by its owners who wanted to have the kitchen and living quarters on the first floor and the bedrooms at ground, or sub-ground level. This is very sensible if you want to sleep at night when it gets hot. The only down-side is that all the shopping has to be carried up the stairs to the kitchen. However, there are solutions to this dilemma. What leaf-fring'd legend haunt about thy shape? Oh fruits divine contain'd within a tin! A common hairpin placed astride the top edge of a lamp chimney will keep it from cracking from the heat, and will greatly prolong its life. Earthenware and baking dishes can be toughened before using by putting them into cold water which is heated gradually until it boils and then cooled slowly. Lift them out of the water and set them on the hot stove; they will not break. Let them steam; then wipe on a clean cloth and they will be as clear as crystal. This is abstracted from Sj's LiveJournal. I suppose I'm a month late with my declaration of what I would do if I won the giant lottery (I didn't actually buy a ticket either so I'm really behind on things), but don't worry, I've still been giving quite a lot of thought as to what I would do should I magically become independently wealthy. 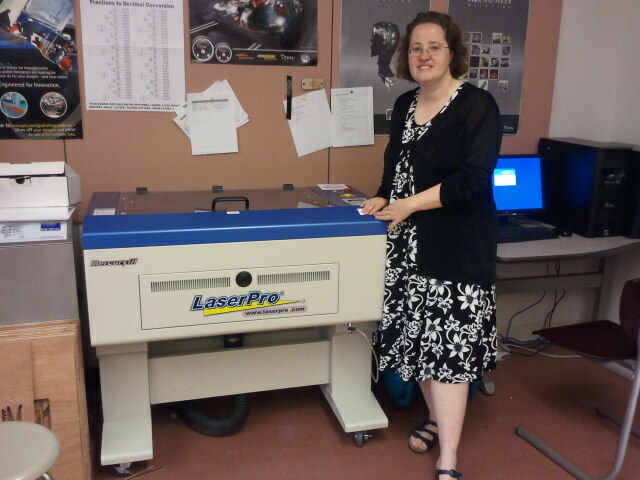 At the end of November my department bought a laser cutter and as my department basically consists of me and my department head (who isn't all that interested in the laser cutter when he has the mill) this means that for all intents and purposes I have my very own laser cutter. 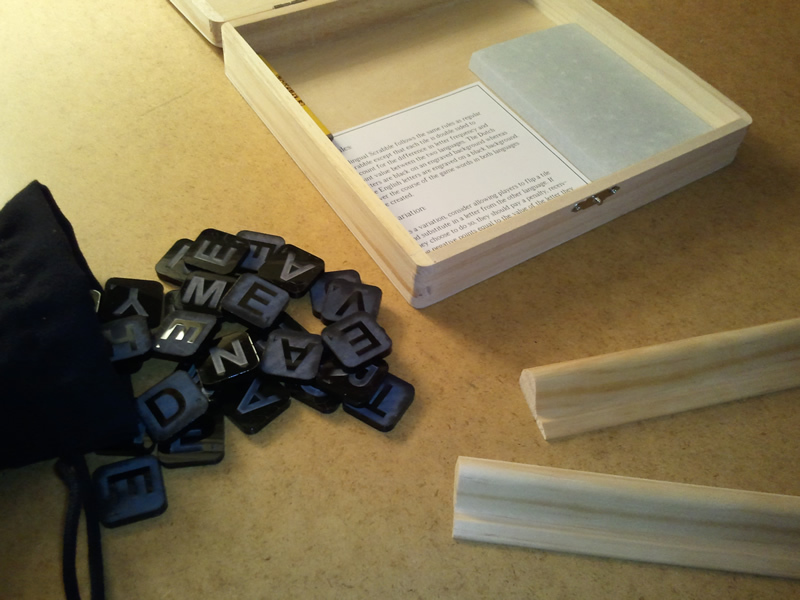 She has made some lovely things with 'her' laser cutter but for little old man purposes we will put in her account of making a bi-lingual scrabble board. 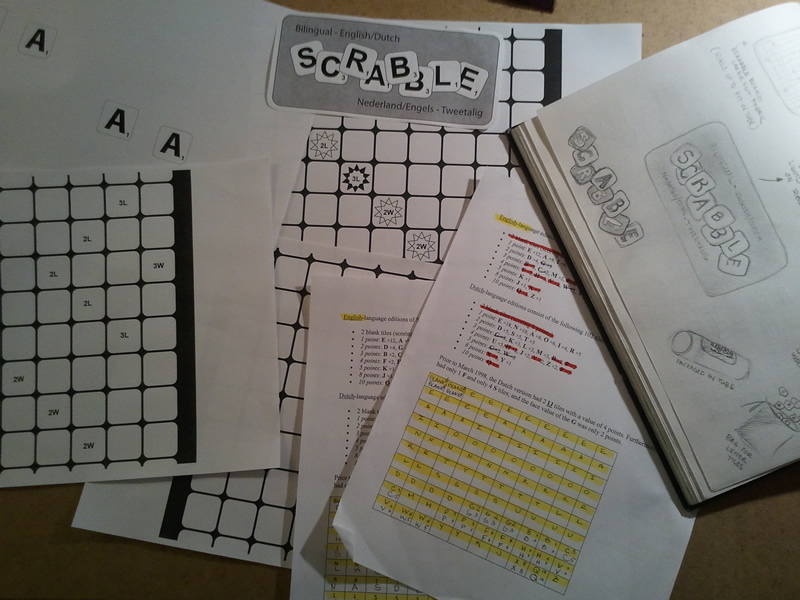 my first real design project was the creation of a bilingual scrabble board. At some point earlier this winter ivo_b and I started playing quite a bit of online scrabble. While his English is excellent, he is not a native speaker and as a result I was crushing him frequently. 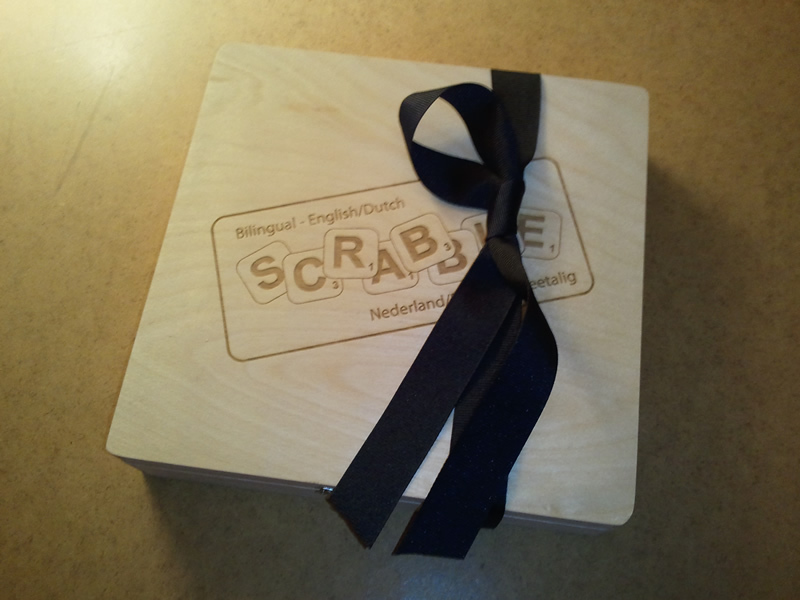 As this seemed unfair (and as my Dutch is certainly not up to the task of playing Dutch scrabble) one night the two of us decided that clearly we needed some sort of bilingual scrabble game. As I wanted this to be a surprise for his birthday, the very next day I started (secretly) researching the differences between the two games and creating some preliminary sketches. I determined that it was important to be able to tell which language was which and that the most effective way of indicating that would be to invert the artwork on the tiles (one language would feature an engraved letter and the other would feature an engraved background). I mocked up a sample tile in illustrator and did a bunch of test cuts with various materials on the laser cutter. While wood or laminate would certainly be the simplest material, I really liked the look of acrylic. Unfortunately clear acrylic wasn't going to work (both because it was hard to distinguish the letter and because you could see right through it). I wasn't at all happy with the results and I quickly decided that none of these methods were going to work and started looking for pre-laminated or colored acrylic. With the exception of very basic colors, you pretty much have to order online and as my trip to San Francisco (where I intended to give the game to ivo_b's brother for transport back to the Netherlands) was only a week and a half away, I didn't have a lot of time. Fortunately I managed to find a local place where I could get colored acrylic and after a few more tests eventually decided on simple black tiles. I created the artwork for the tiles and the next step was to figure out how I wanted to pair the letters. The letter frequency between the two languages was different enough that I couldn't easily pair matching letters and somewhere along the line I had decided that it might be fun to experiment with alternate rules (for example you could pay a forfeit to use the foreign language letter on the other side of your tile instead of the one you were dealt). As such, all of a sudden I wanted to make sure that (other than the two blanks) none of the letters lined up, I also decided that as frequently as possible I should pair high scoring letters with low scoring letters. One additional problem was that unlike the 100 tiles in the English version of the game, the Dutch version had 102 tiles. As I really wanted to keep it to 100 tiles, I did some further research to see what two letters I could drop. (Apparently there used to be less tiles because there were 'ij' tiles so I considered reverting to those but that would make it harder to substitute the Dutch letter tiles in English words as 'hijack' is one of the only English words that uses the 'ij combination. 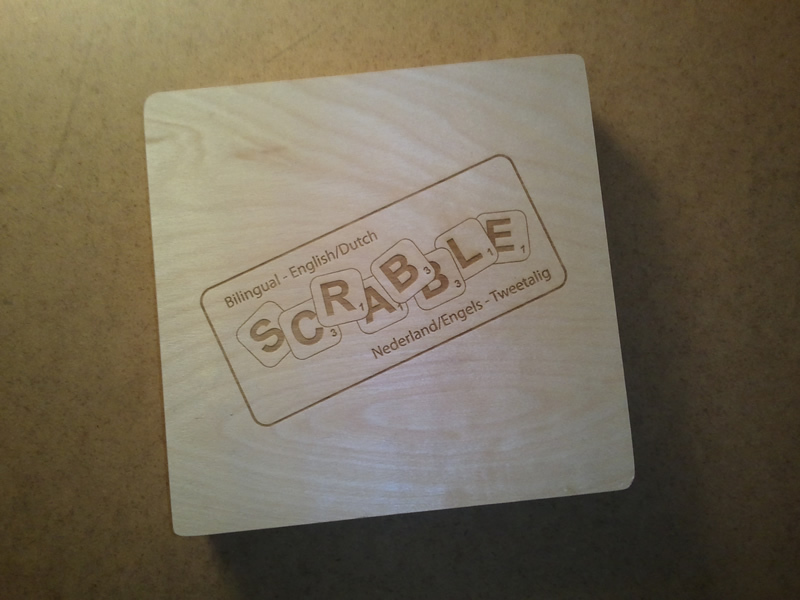 As older (pre-1998) version of the Dutch game also had one less 'S' in the end decided to sacrifice one of those, and as Dutch scrabble has 18 'E's (the English version only has 12) that seemed like another safe elimination. Played around with the letter pairings for a while before eventually deciding how I wanted to do it. As I'd decided that the Dutch letters should have the engraved background, I created and cut that artwork first as it was the more logical place to put the cut lines and it would be more noticeable if the cut lines along the edges didn't line up with the engraved backgrounds. The way the laser cutter works, you can specify how you want it to treat various elements of your artwork. Unlike the mill, you don't specify the depth of your cuts but rather you specify the power and speed of the laser as it makes the cuts. This means that anytime you use a new material you have to spend some time experimenting with it to learn the power and speed settings necessary to both cut through it and engrave it. You can actually specify different laser settings for different parts of your artwork merely by changing the color of the different areas, anything that is black will use one set of settings, anything that is blue will use another, etc, etc, etc. Additionally depending on the type of artwork you can specify what you want to have engraved and what you want to have cut through - the laser actually operates differently depending on the type of art it is. In order to cut through you need to supply it with 'hairline' vector lines, any other type of artwork it will simply raster. For vector (through) cuts the laser stays on as it moves across the material, for raster (engraving) cuts the laser pulses on and off as it moves. The result is that the raster graphics are pixelated however our laser has very high dpi settings so you can decide how pixelated you're willing to let your artwork be, the tradeoff of course is that the higher you up the dpi, the longer it takes to engrave. As I wasn't sure how consistent the size of scrabble tiles was between versions of the game, decided that my best bet would be to create a custom scrabble board to go with it. This also allowed me to make my tiles slightly larger than the scrabble board that I was using for reference. Considered a number of different materials for the board. (Even considered a board that folded up to become a box to hold the pieces.) But in the end decided that I wanted to make this as lightweight and compact as possible (this because [info]ivo_b and I are going to spend two and a half weeks roadtripping through Scandinavia this coming summer and I decided that we were probably going to want to take it with us so that we could play). In the end decided that a fabric board would be my best bet. Went to Joann's over my lunch break and came home with sample pieces of 5 different materials. Proceeded to spend a good portion of the afternoon experimenting with the settings on the laser (as I had never before tried laser-cutting fabric). 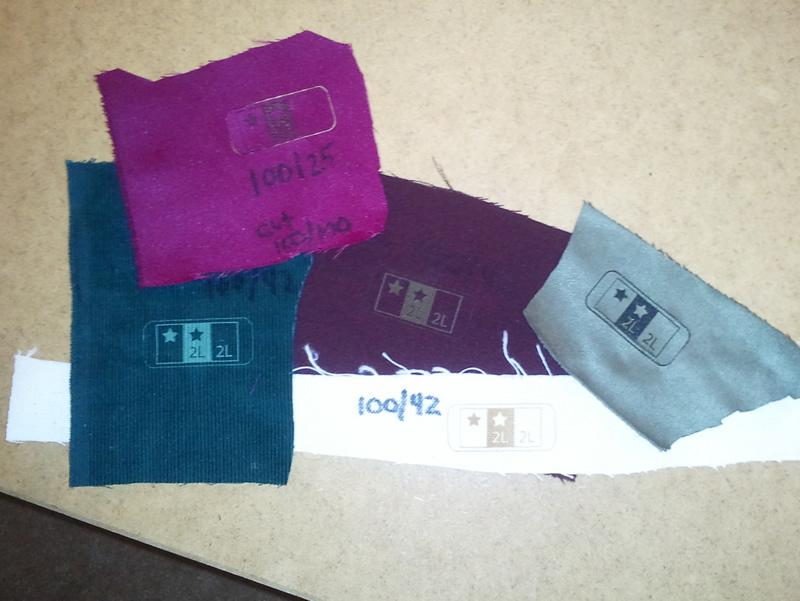 I found the results quite interesting as different types of fabric react very differently. Fortunately there was a slightly fuzzy green fabric in the mix which laser cut beautifully so headed back to Joann's to buy more. Terribly upset to get there only to be unable to find the green fabric in question. Frantic searching of the store eventually led to its discovery in somebody else's cart. I had taken all of my selections from the remainder rack and someone else was about to buy the last of it. I begged her to give me half a yard and she took pity on me and gave me a whole yard. Huzzah! While I obviously intended to use the actual scrabble layout for my board, no way to make colored squares so played around with the layout for a while before eventually deciding on something very simplistic. Ended up having to cut the board twice (thank god she gave me a whole yard) as halfway through the first cut the fabric got caught on the autofocus probe and shifted slightly meaning that the laser was no longer correctly positioned. 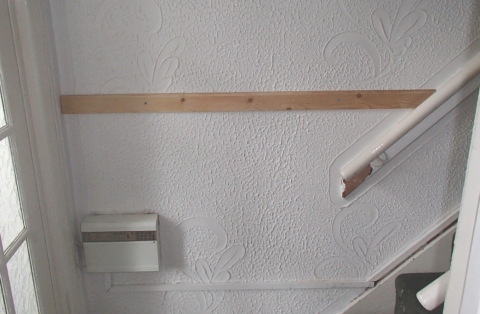 Solved this problem in the second round by taping it down securely. As I learned in design school, the devil is in the details. So not enough to merely give [info]ivo_b the board and the tiles, he was going to need all the other accoutrements as well. Spent some time in the molding section of Lowe's and Home Depot and eventually found something that would hold the tiles at the appropriate angle. Bought 10 feet of the stuff (you had to buy a whole piece) and dragged it home where I proceeded to cut it into 6 inch lengths. Packaging my next obstacle. All along I had planned to simply put it into a small mailing tube (with a custom bilingual-scrabble logo) however all the tubes I found were far too large. Wandered into Michael's on a whim and ended up spending $4- on a small wooden box that was perfectly sized to hold my game. Engraved the logo on the top and called it a day. Very pleased with the result and very, very hard to hold off on giving it to ivo_b in San Francisco. Passed it off to his brother (who proceeded to wrap it up in a dirty shirt and throw it into the bottom of his suitcase) as soon as I could so that I wouldn't give in to temptation. 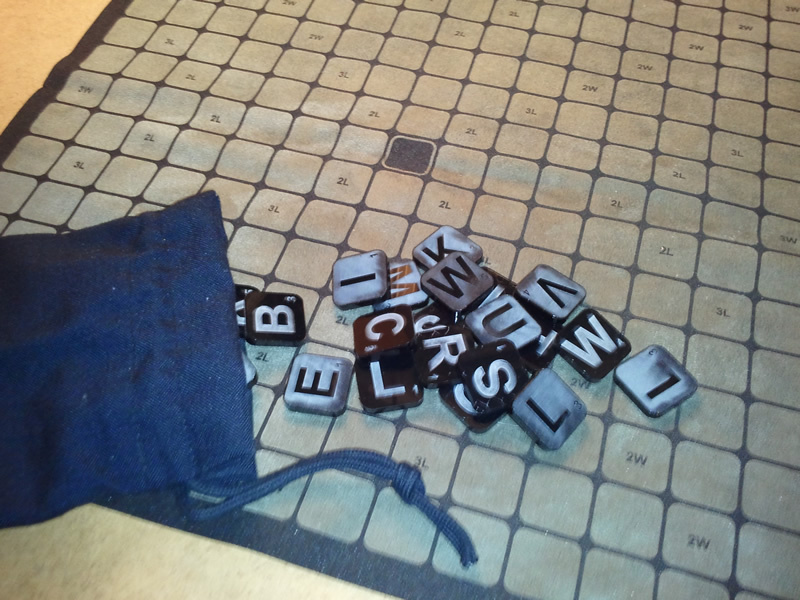 The scrabble game came out really well. It's beautifully made and it's interesting to see how two languages and the double sided tiles impact gameplay. Also, it's a lot of fun to play. I love it. Thank you so much for creating it! This week, Mr. Fowler is telling us about the proper use and maintenance of what was, in 1916, a brand new and state of the art way of cooking, the gas range. My fascination with design started at an early age, I was eight and faced with the dubious challenge of making toast all by myself. Until that point I'd never really paid attention to the toasting process, the toaster was just a little box, bread went in, toast came out, and the choice between jam or marmalade was the only thought process that entered into it. What makes that particular day different is that my eight-year-old self saw something beyond the toaster's banal functionality, I was struck with the mystery behind the toaster. How did it toast and for that matter, why? Whose bright idea had it been to toast bread in the first place? And why was it decided that toast should always be made in pairs? While seemingly trivial, these questions made me look closer at the myriad of objects with which I shared my life and in doing so chose forever the path that I would walk. Today I am a graduate of Syracuse University and I have a degree in Industrial Design. While I've grown a lot from the early days of my design interest, and gained a variety of design experience, the keen fascination and wonder with which I approach a design problem remains. How to train a belligerent Bay Tree. First buy your bay tree, not easy and none have that lovely spherical shape so much loved by topiarists. Nothing for it but to buy what was available and to try to change its structure into the desired pleasing shape. As bought, all the branches pointed upwards, not even half a sphere. Well if the lower branches were loaded with weights, this might do the trick and the tree attain a better shape. What to weight them with? In the greenhouse I have a tin full of old tights (useful for all sorts of things) and so I cut the toe out of four of them, filled them with stones and tied them onto the lower branches. For stockings with white heels or tops, mark with indelible ink. For all-black stockings, use colored threads, making a cross-stitch on one pair, two cross-stitches on another, etc. If the covering of the button on side elastics comes off, wind with a fine rubber band. When the dog ate my computer. Well OK, when the dog wrapped itself round the power lead on my laptop bringing it crashing to the ground onto its usb memory stick. Well I mean then. I had to go out and buy a new computer. I have spared readers the usual pain of getting a new computer to actually work, like switching off help menus and disabling other moronic 'features'. Indeed, I had thought that I had got away without having to report this one but tw stayed for a few days on his way home from South Africa and detected what I had been up to. Actually, this could just be just the killer feature that manufacturers have been looking for to increase their sales of new PCs. I use the delete key quite a bit and it is a paltry little thing on my new PC and I found it difficult to see. I needed some way of making it more visible so went in search of some tippex. To my surprise, we had a bottle but un-surprisingly its contents had long since dried out. No problem, in the same drawer, we had a pack of loose leaf page re-enforcers so one of these was used instead. It has been very successful though occasionally I find that a letter has been deleted when I was expecting an O. If you can't find a page re-enforcer, maybe this issue's household help will be of use to you. A small, inexpensive flashlight should be kept in the sewing machine drawer. It will not only save many precious minutes, but will relieve eye strain when threading a machine needle on a dark day or at night. The Little Old Man likes to think he is environmentally friendly. As you know, he especially advocates living as we did in the 1950s but there are times when he wonders just how far we can go. He is especially suspicious of re-cycled toilet paper for instance but his latest purchase of computer paper has left him somewhat bemused. Now is this a last call for patriotic duty to save the Empire or do 'other'manufacturers use un-patriotic waste? M-real Corporation is a Finnish paper and pulp company. It was originally established by G.A. Serlachius, and named Metsä-Serla (Forest Serla). The brand Serla is an M-real brand. 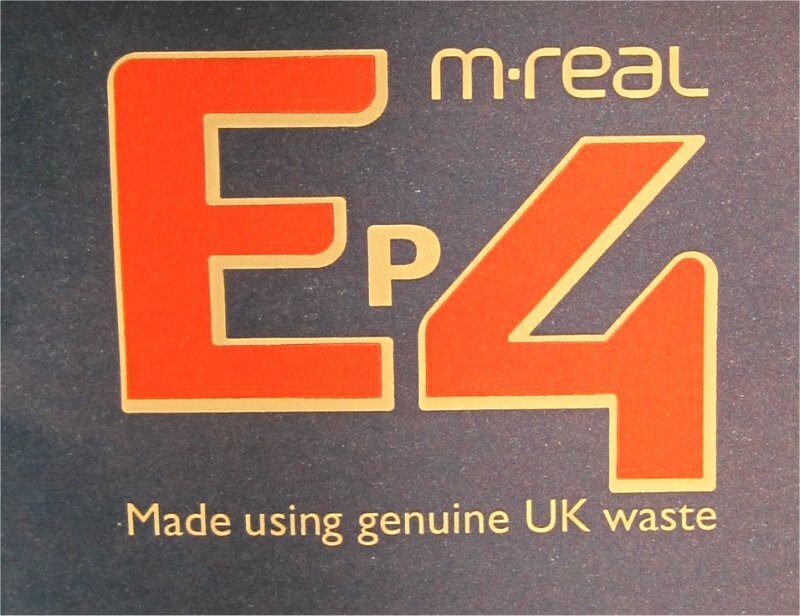 M-real's slogan is "make it real". We find that they are re-branding and are now called Metsä Board and I would love someone to explain to an old man, what is going on in the comfy breakfast scene depicted on their homepage. Breakfast with re-cycled muesli cereal package? If you want to know more about them here is metsa-board's new corporate website. The story of Metsä. Renewal, unity, responsibility - Metsä Group is proud to be a forest industry company and a leader in its field. We are more focused, more unified and stronger than ever, and we want that to show. Our vision is to be a Finnish forest industry company in international markets, with products and services that uniquely combine sustainable development and a customer-focused approach with continuous renewal. We focus on wood products, pulp, board, tissue and cooking papers. Our primary raw material is sustainable, renewable and recyclable wood grown in Nordic coniferous forests. Its unique features contribute to the excellence of our products - products that bring sustainable well-being to everyday life. Metsä Group's business areas are Metsä Tissue, Metsä Board, Metsä Fibre, Metsä Wood and Metsä Forest, which is responsible for wood procurement and forest services. There and I was thinking that they used genuine UK waste. 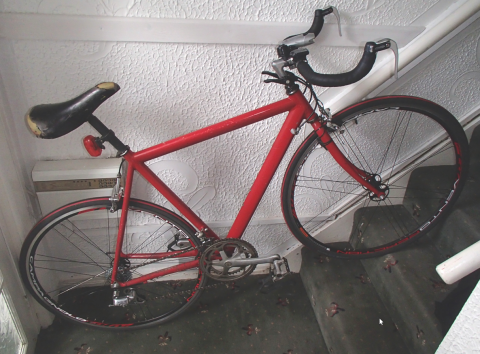 With our hosepipe ban just announced, this issue's helpful hint might not be as helpful as intended. To clean the dust and dirt from bed springs, set them out in the yard on a sunny day and turn the hose on them freely. The sun and wind will afterward dry them in a few minutes. The Little Old Man has been very pleased with his cold frame on legs. Seen in this link in 2010 but the time has come for expansion. The original propagation side had two expensive and pathetically small heating pads in it, but something a bit more grand was in his tiny mind for the expansion. Some time ago, Pat told him that she had used an old electric blanket as a propagator and this seemed like a good solution. The only problem was that we didn't have an old electric blanket and Rosemary was not about to relinquish hers so a new one had to be bought. This was so shiny and new that the Little Old Man decided that it should be encapsulated in a plastic cover. He just happened to have some damp proof membrane left over from the donkey shed project so this was put to good use. When bread is baked in too hot an oven and the outside crust gets too brown, do not attempt to cut it off, but as soon as the bread gets cold rub it over with a coarse tin grater and remove all the dark-brown crust. The Little Old Man has a very handy wet and dry cylinder vacuum cleaner. 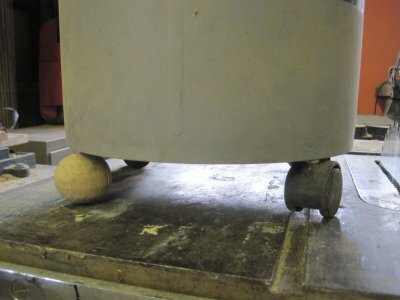 This runs around after him on 4 castors sucking up [most] of the dust he generates in large quantities. The other day, it had a great fall and Humpty Dumpty like, broke one of its legs. Its following ability was much impaired. But not for long. It has now been fitted with a false leg and carries on its work un-impeded though it is liable to burst into song, Rolf like, at any minute. I'm Jake the peg, diddle, diddle, diddle dum. Place a large carriage sponge in the bottom of the umbrella jar to prevent umbrellas from striking the bottom of the jar and breaking it. The sponge will also absorb the water from a dripping umbrella. Working in the confined space of the bathroom has been a real pain at times as it has used a disproportionate number of tools. Keeping track of them has proved to be difficult. Then I insulated the loft door with Celotex, and had a piece left. A stick of macaroni will serve in place of a glass tube for a patient who cannot sit up in bed to drink, or will sometimes induce a child to drink its milk when otherwise it would not. 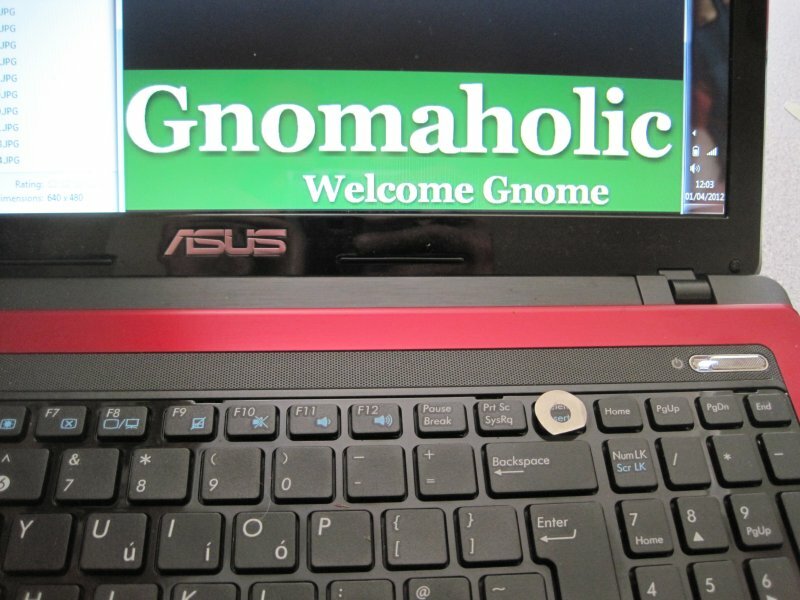 We've getting rather a lot of gnomic exposure lately. Once your gnomic friends have gesticulated and birthed, its time to develop their unique personalities. This is done with gnomic dust, paint and exotic gnome spices, some from the orient. As well as using the rotating spice rack as an artist's turntable you can make a handy brush holder as described in Mr. Fowler's Household Helps . A sheet of corrugated paper is a handy thing to have on your writing desk to hold wet pens or brushes. The paper will absorb the liquid and the corrugations will hold the pens or brushes in convenient position. The Little Old Man is still busy re-modelling the bathroom. The shower has been fitted and duly used by our Christmas visitors. Now we are in the new year and work continues with the rest of the jobs. This week's job has been to fit an extractor fan. 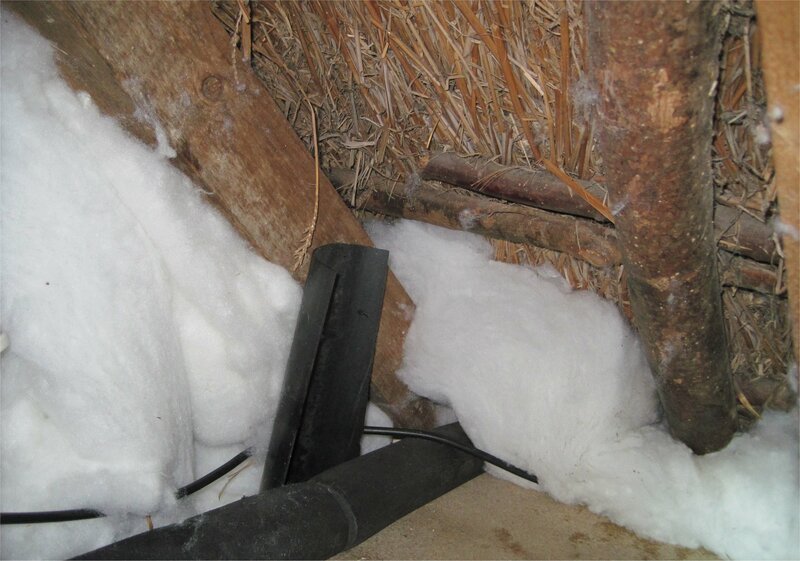 This has also involved crawling under the catslide roof thatch, insulating and removing debris. Of course, the trouble with an extractor fan is that it is all very well getting rid of moisture laden air but the air has to be replaced from somewhere else. This usually means that there is a mighty draught around the door. The Little Old Man is on to this one and has fitted a ventilator as high in the wall as he can get it. Now air comes in at ceiling height and should avoid the naked lazers in baths. Of course what have we been doing today? 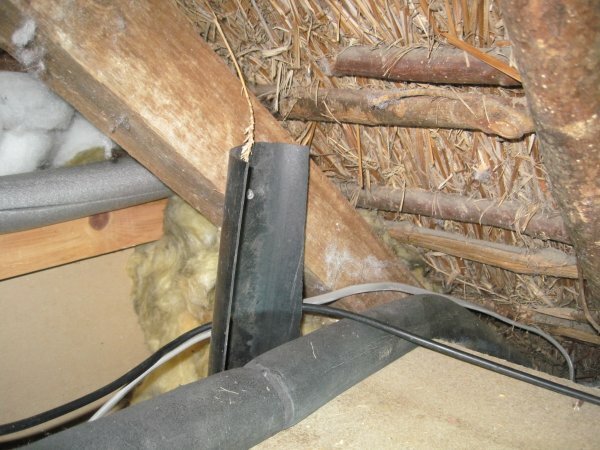 And what does insulation do? Well it stops air circulating. 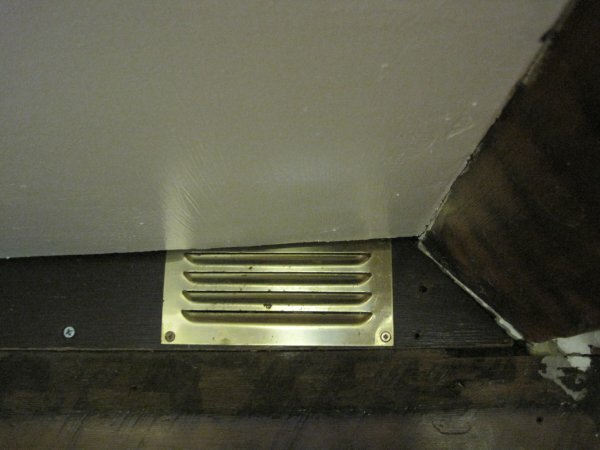 That is why we have fitted a little duct behind the ventilator to allow free passage of air through the insulation. Articles that have become mildewed should be boiled in buttermilk. Rinse well in warm water after boiling and hang in the sun. The same process will effectively bleach materials that have grown yellow from lack of use. Mildew can be taken out by rubbing the stains well with a fresh tomato and covering with salt; afterward place garment in sun. Mix equal parts of powdered borax and starch with half as much salt; moisten the whole with lemon juice, spread the mixture on the mildewed spot and place the garment in the sun on the grass. Renew the mixture every morning until the stain disappears. Mildew may generally be removed by dipping articles into alcohol. 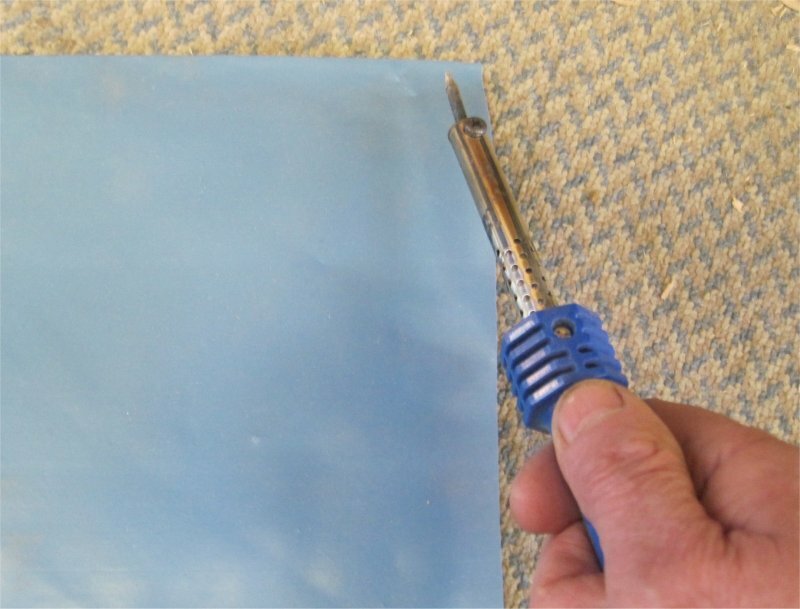 To varnish the paper back of the sink, or other places, so it may be wiped with a damp cloth, coat with a mixture made with one ounce of gum arabic, three ounces of glue, and a bar of soap, dissolved in a quart of water. This amount will coat quite a wide surface.